In Arlington, but far enough away from the fun that you forget where you are? Check. A day spa with med spa facilities? Check. A day spa with a delicious gourmet chef-driven lunch menu? Check. A facility within Arlington that contains a day spa, med spa, boutique, salon, café, garden and meeting space? Check x 100. Right off Bowen & I-20 since 2000. 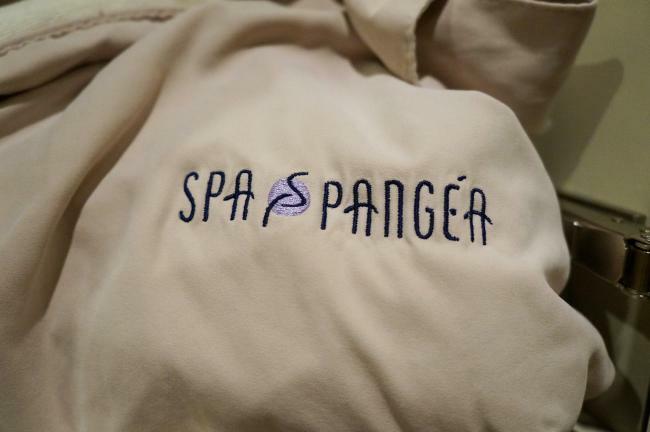 Spa Pangéa, an aromatic full service day spa with beautifully-designed private rooms named and inspired by the supercontinent Pangea, with rooms named “Grecian Room” and “Asian Room.” With treatments that reflect which part of the world they’re from, like the Thai Honey Lime Facial. 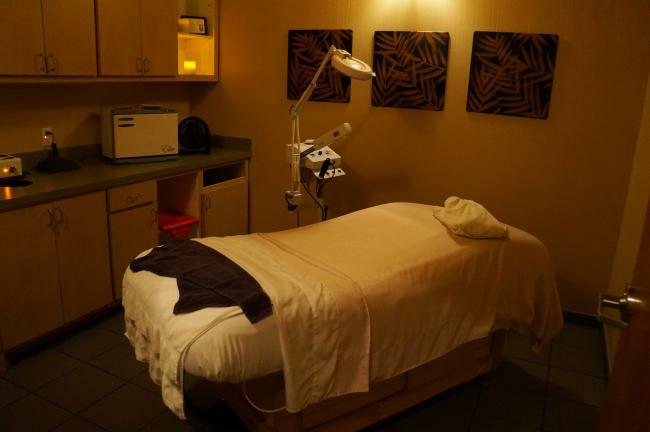 Part Med Spa, where guests can get Botox, Juvéderm, laser skin resurfacing and more. Part Salon, a full-service salon with talented hair and makeup professionals designed for pure comfort (here, you can get a mani while waiting on color, etc.)! Part café, a hip and cozy nook with a gourmet -chef-driven menu that features delicious and light Paninis, salads, power bowls, and more. Prior to moving to Texas and arriving at Daireds, Chef Michael Calbo served as executive chef in a four-star country club and as sous chef for a multi-million dollar non-chain restaurant in Florida. With extensive experience in fine dining, Michael has worked on the team of a Michelin Star rated restaurant and a James Beard awarded chef. Part garden that faces the mani-pedi room with beautiful plants and flowers, and green, green grass. People have even had their wedding there. Since the day I went was nice, part of the garden was blooming for the spring! And part Boutique, where they sell Daireds branded clothing, greeting cards, sunglasses, artisan candles, the specially-formulated Spa Pangéa skincare line, makeup and more. Tip: There are four new products from Spa Pangéa including a nice but lightly-scented anti-aging hand cream, body mist, massage oil and lip balm! Started by hairdresser, world traveler and spa veteran Daired Ogle in 2000, this 18,000 sq. ft. facility has been an Arlington staple for almost two decades, with Daired having long-running clout within the DFW community. He started out as a hairdresser in the 1960s at Stripling & Cox and opened his own salon in 1978. He got into the spa business in 1984 when he moved into a new location with a small formal day spa that only had five treatment rooms. 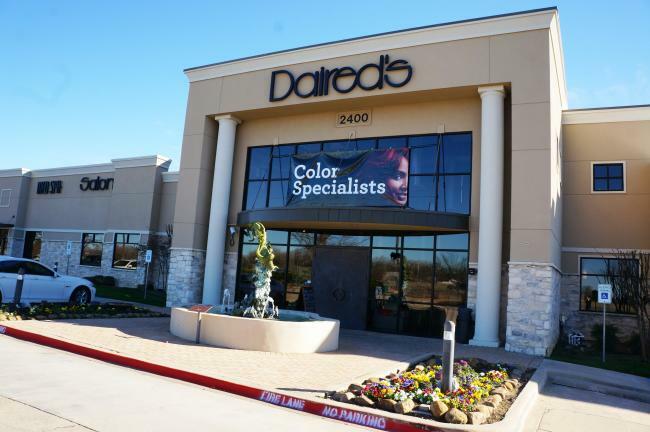 Now Daireds has a full staff of more than 75 employees and was named by Elle Magazine as one of the top 100 salons in America. I got the privilege of visiting Daireds in the middle of a busy work-week. 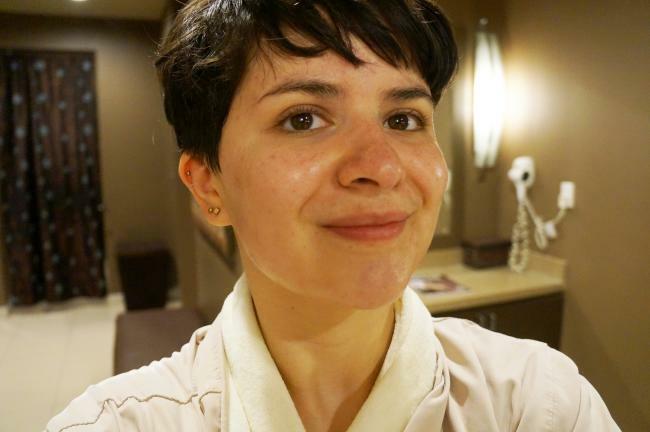 I was signed up for the all-inclusive five-hour Healthy Glow package, which features: a Pangéa Custom Massage, Pangéa Custom Facial, Pangéa Body Scrub (with Vichy bath), Pangéa Manicure & Pedicure and a gourmet spa lunch. When I walked in I was greeted with two smiles by the ladies at the front stationed in the boutique. I checked in and was handed a small menu where I got to pick my drink, lunch and dessert options. 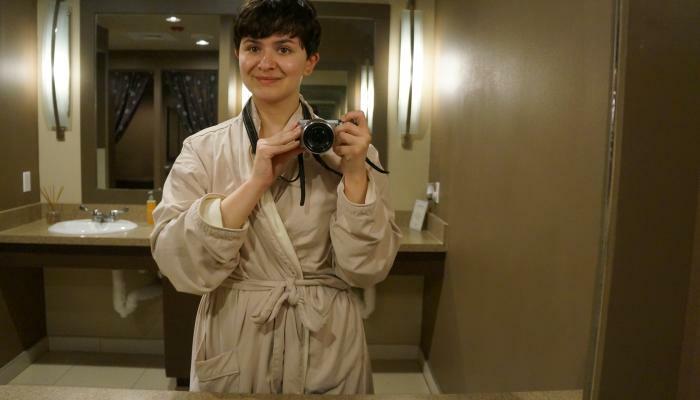 Next, stepped into the lavender-scented women’s locker room, where I got my locker, exchanged my clothes for a light but regal, comfy and soft but high-quality Spa-Pangéa logoed robe and went in for my first treatment. The robe: reminds me of my favorite blanket! My aesthetician was Dee, who has four years of aesthetician experience behind her, led me into her private treatment room, where all I could hear was faint instrumental music as we assessed my concerns and came up with an action plan. 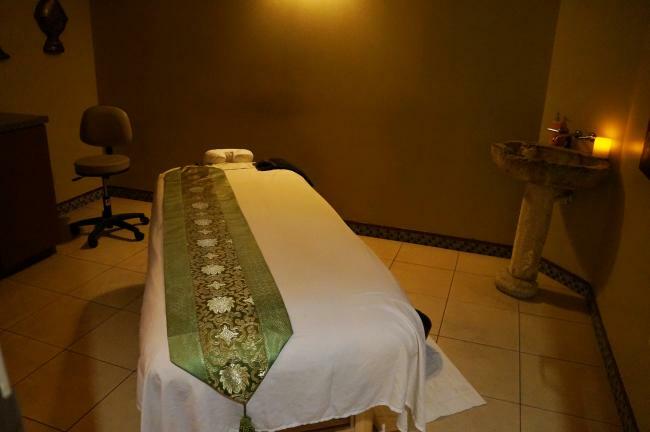 This included a facial massage, extractions, a mask and aromatherapy. I know most people want to remain quiet during services, but I usually like to talk and ask questions, Dee was more than happy to talk to me. She was very knowledgeable and offered specific advice to my concerns and let me know what I was doing right, and what I could forgo in my skincare routine. I caught myself drifting off a few times during this facial, and the smells and Dee’s therapeutic hands helped me drift away. Post facial, I felt confident, clean, refreshed and glowing –she even reapplied my favorite beauty savior, SPF, so I avoid harmful and aging UV rays post-treatment. Thank you Dee, you angel, for saving my skin! My post-facial glow. Eureka! It’s a miracle. 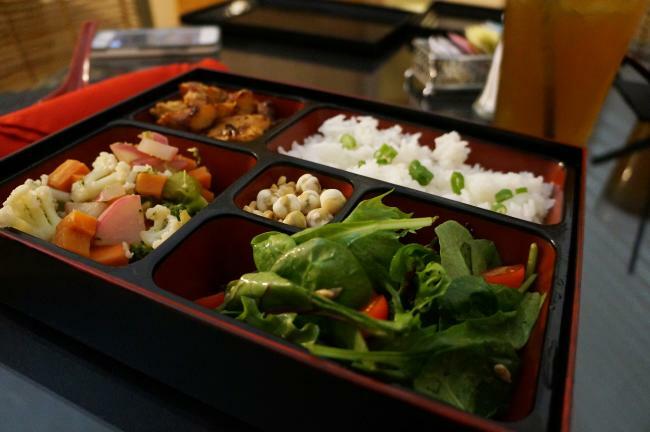 Next, I got to go into the private spa dining room for my Soy Chicken Bento Box from Chef Michael, followed by Chocolate Mousse made with avocado that was rich, creamy and full of healthy fat! Look at this Bento! 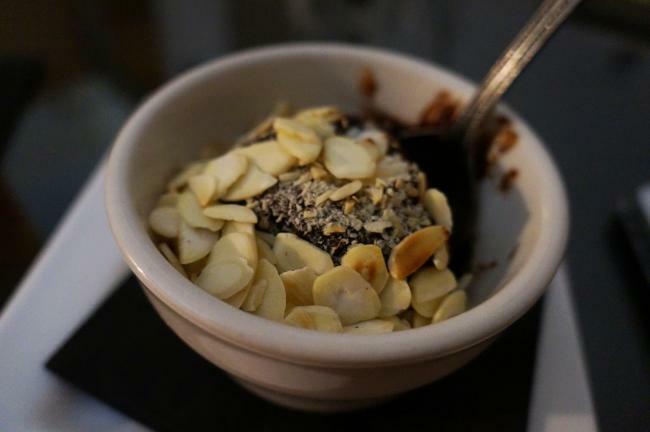 All I have to say is YUM – I ate it all. The whole café-lunch experience incorporated nothing but healthy flavors and fresh smells that weren’t too heavy and enhanced my spa experience by leaving me full and satisfied, and ready for my next service. This is where the ultimate massage magic happens. The first time I forgot my name was when my massage therapist, Camron aka “Magic Hands,” lulled me into complete relaxation during my Custom Pangéa Swedish massage, where I fell asleep. 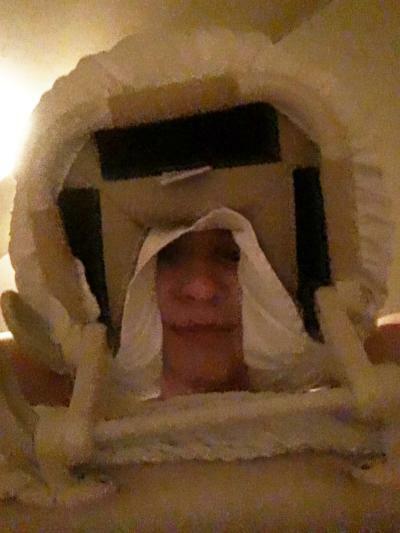 With 14 years of massage under her belt, Camron took my experience to the next level by taking me to another plane for 90 blissful minutes, where the air was comfortable, smelled nice and I was warm. Luckily for me, I do not have knots, just some tension in my neck from hours of stressful traffic and sitting at my desk too long. Compared to other massages I’ve had in my life, Camron kept a comfortable distance, had the constant kneading power of a goddess and was highly motivated and happy to be there – which is the kind of positivity that is contagious. I highly recommend Camron’s hands to anyone suffering from knots and tension. Her hand pressure was firm-but-relaxing and refreshing! Next I was given some time to relax and remember my name (again), and taken to the Vichy Shower room. A Vichy shower, if you haven’t had one before, is a post-body scrub shower in which you’re lying down on a wet table. Here I stripped down to some paper underwear, a shower cap and was instructed to lie on the table with towels cover up the unmentionables. 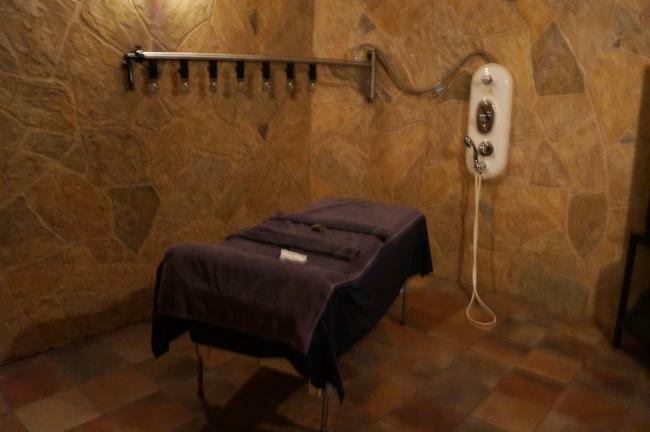 This is where I fell asleep again, and while awake only thought of nice things as Camron slathered the lovely oriental musk-smelling body scrub all over my body, enhancing the massage I had just gotten and with the scent lightly waking up my muscles and body to be refreshed. I also forgot my name again, and allowed the experience to clear my consciousness and for one second I believed I was on vacation. Then, the multi-spout Vichy shower washed over me at the perfect temperature like a warm blanket, and all was happy and well with the world. The Vichy Shower, I had just woken up so excuse the blur! Post-scrub I was shiny, moisturized and unbelievably soft. On to the mani-pedi! Tip: A Vichy shower is not typical for a day spa. Daireds has all of the luxury and services a destination spa would have, minus the overnight stay. I had the choice to get back into my clothes, and I decided I didn’t want to mess up my nails post-service so I got dressed and was escorted by Lori back to the mani-pedi room. There, she treated me to a manicure with a view –with color, an extended hand massage and cuticle treatment. With a large selection of OPI and high end nail polish, I selected a metallic dark blue. Next I went to the pedicure chair, where there is a wine and cocktail list for patrons to indulge in. Plus, in the pedicure chair, you get a perfect glimpse of the garden – which showed off gorgeous late-afternoon moonlight during my service. Case in point, the garden is so colorful and well-lit! Tip: the spa is open until 9 pm, which means the busy day worker can come in and get a treatment done after work. Not too shabby! 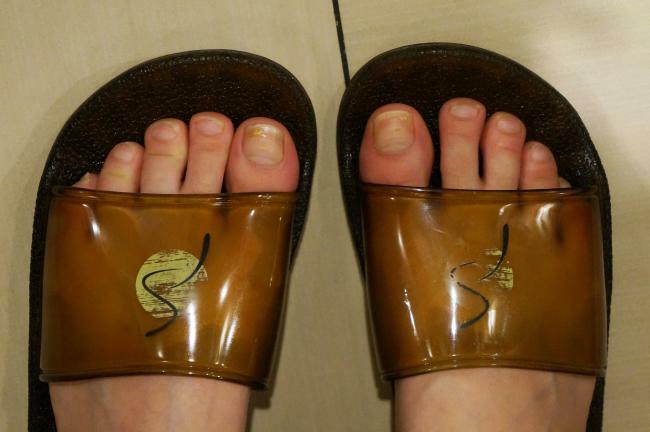 I got the full pedicure treatment complete with hot towel application and a foot mask that led my neglected toes to look like tiny supermodels by the time I got out. Leaving, I felt great! I was like a nice cool bowl of JELL-O, in the best way possible. I smelled nice, was smoother than I have ever been and I didn’t even have to leave Arlington. If you’re a member of the Arlington community and have heard of Daireds and never stopped by, take this opportunity to experience a vacation, and those of you actually on vacation – a vacation from a vacation!